This week in the city, Ward 2 is celebrating its first-ever Hamilton Multicultural Festival! This free, one-day festival, aims to connect and promote the diverse communities of Hamilton’s Ward 2 neighbourhoods. The festival will feature local performers, music, games, kids’ activities, food, and arts and crafts vendors. There will also be a space for inter-cultural conversations about inclusion and equity in our communities. The Multicultural Festival will take place on Saturday, August 23, 2014, at Pier 8 at 47 Discovery Drive. 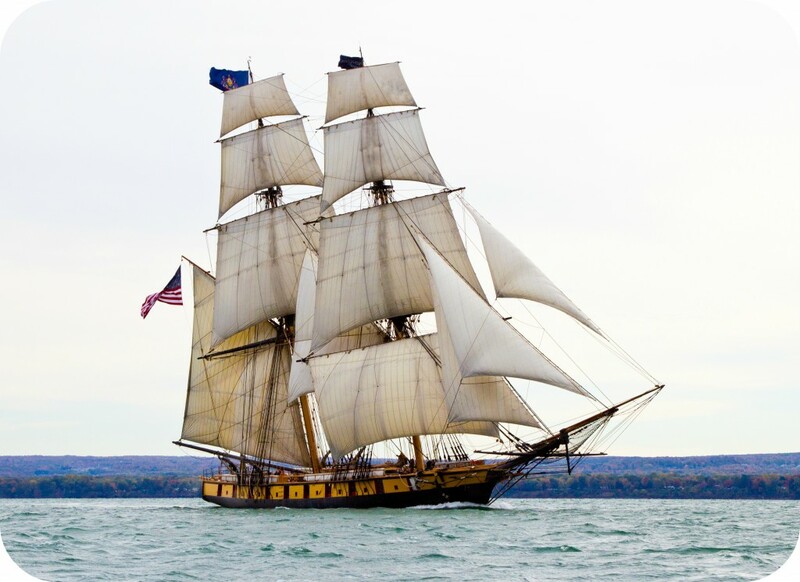 The festivities will run from 10:30 a.m. to 8:00 p.m. You can find out more information on Facebook, or read this article from CBC Hamilton. The Mohawk College Library has resources that you can use to learn more about diversity, multiculturalism, and equality. The library databases are a great place to find articles from thousands of journals, magazines, and newspapers. If you are looking for a specific journal or magazine title, the e Journal portal can help you find exactly what you are looking for. Whether you are on-campus, or just online, Mohawk College Library staff are available to help you discover everything the library has to offer. Contact us for more information about our services, locations, and discover how your campus library can help you connect, learn and succeed! Throughout this week, Hamilton Pride will host events in the city. From pool parties, a flag raising ceremony at City Hall, an AIDS candlelight vigil, workshops, and lots of social gatherings, to be sure this Hamilton Pride week will be the best yet. But wait, even more events are planned for the weekend, so be sure to check the event listing for more details. If you don’t want the party to stop, from June 20 – 29, 2014, Toronto is hosting World Pride 2014.With its mission “…to hold an international celebration incorporating activism, education, and the history and culture of global LGBTTIQQ2SA communities. It will highlight Canada’s continued progress in human rights, and the diversity and dynamism of Toronto;” there is something for everyone to enjoy the entire month of June. Since diversity strengthens communities, and inclusion is everyone’s responsibility, ; Mohawk College faculty and staff are participating in training sessions. Organized by Social Inc., the aim of this training is to promote inclusion in physical and virtual learning spaces, and to ensure that everyone is aware of how to support marginalized students. The Mohawk College Library has a variety of resources that deal with inclusiveness and education about LGBTTIQQ2SA (Lesbian, Gay, Bisexual, Transsexual, Transgender, Intersex, Queer/Questioning, 2 Spirited, Allies) communities. The book Gay life and culture: A world history, is a collection of thought-provoking essays about what makes gay life and culture universal throughout human culture and across time. You can find other resources by clicking this link. Practicing what they preach, Mohawk College proudly raises the rainbow flag at the Fennell Avenue campus entrance. How are you going to show your pride? For the past 30 years, Canada’s Book and Periodical Council has sponsored the Freedom to Read Week. This week long celebration, which just happens to coincide with the College’s Reading Week, brings to the attention of Canadians that their intellectual freedom to read what they desire is guaranteed them under the Charter of Rights and Freedoms. According to the Canadian Library Association’s Intellectual Freedom Advisory Committee’s report, Intellectual Freedom Questioned: Challenges to Library Resources and Policies in Publicly Funded Canadian Libraries in 2012 (Schrader & Bowman, 2013), publicly funded Canadian libraries received 73 requests, citing 148 reasons, to have material removed from libraries. While the titles listed below are not amongst the items currently fostering dis-favor, they have all appeared on the list of challenged works. Why not celebrate your freedom to read this reading week and check out some of these titles? The Stratford Festival has essentially put the small town of Stratford, Ontario on the map. Tom Patterson, a Stratford-born journalist, saw the festival as an opportunity to boost the economy in his home-town. He envisioned “…turning Stratford into a cultural destination by mounting a theatre festival devoted to the works of William Shakespeare.” And what a destination it has become! It was on July 13, 1953, that “…the Festival presented its inaugural performance: [British actor and director Tyrone] Guthrie’s production of Richard III, with Alec Guinness in the title role.” The festival has grown considerably from where it started. 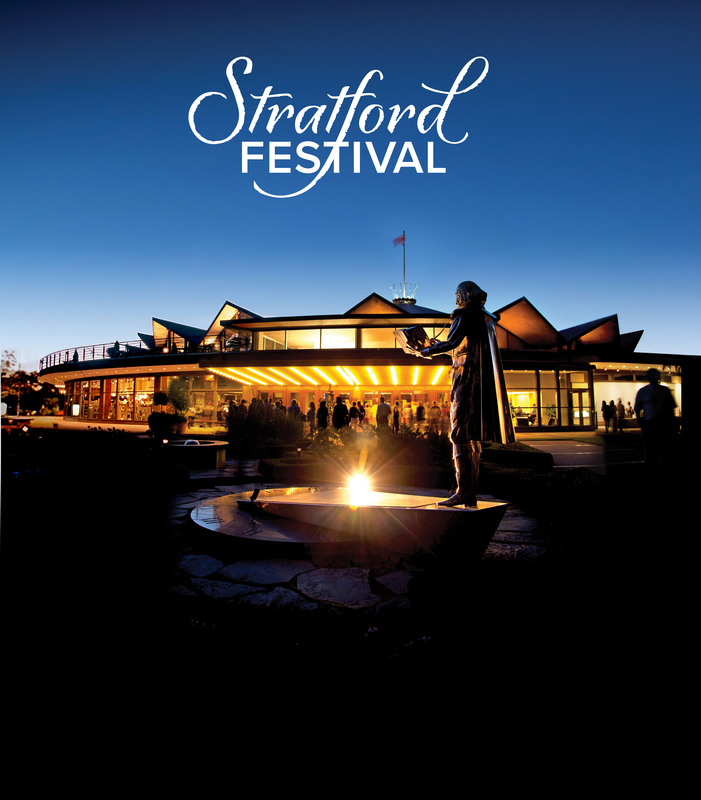 The Stratford Festival boasts four theatres, and includes twelve plays for the 2013 season. To learn more about how you can enjoy the festival, this link to visitor’s information includes directions, shopping, dining, and much more. For many of you, it has probably been years since you read a Shakespearean play. With many more long summer days ahead, perhaps now is the time to explore some of Shakespeare’s greatest works. With Project Gutenberg, this task is easier. and more convenient, than ever before. Project Gutenberg offers free access to over 42,000 e-books, that you can download or read online. For a list of Shakespeare’s more popular titles, click here. The Mohawk College Library has a variety of resources about Shakespeare, the theatre, and supporting the performing arts. Discover what the library has to offer and borrow an item from this list. The Films on Demand database also has a number of films about William Shakespeare’s life, and his plays. A playlist of films based on the Stratford Festival 2013 season has been created just for you! We wish the Stratford Festival a happy 60th birthday; may there be many more years of performances to come! When the mercury soars, nothing hits the spot like … ice-cream, popsicles and icy cold frozen drinks! But all that licking and slurping can lead to a somewhat painful downside, “brain freeze!” Ouch! Have you ever wondered what is going on in your head to cause that sudden burst of horrid pain? It was a mystery that had scientists stumped for years, that was until last year, when a group of researchers, sponsored by the American Physiological Society, presented the results of their study, Cerebral Vascular Blood Flow Changes During Brain Freeze. If you don’t want to read the study, comedians, Rhett and Link from Good Mythical Morning do a pretty good and entertaining job of explaining it, and even make a few not so scientific suggestions how you can avoid the dreaded brain freeze experience. Interested in learning more about your noggin and how it works? Here’s a shortlist of just some of the brainy resources available in the library. The company, 7-Eleven in 1994 registered a trademark for the term “brainfreeze” to help promote the unique attribute of their Slurpee frozen drink. Guess what country consumes the most Slurpees? Answer, Canada! In the news this week, our good neighbour to the west, Manitoba was made Slurpee capital of the world and might we add for the 14th year in a row! Can’t remember the last time you experienced brain freeze? A little short on cash? You’re in luck because this Thursday, July 11th is, not so coincidentally, 7-Eleven’s 44th birthday and they’re celebrating it with a FREE Slurpee day! What’s your favourite frozen flavour of … Slurpee, popsicle or ice-cream? We are finally in the height of the growing season, which means that local fruit and vegetables are available now more than ever. As many of you may already know, you don’t have to go far to get the freshest produce – it’s practically at your door! The City of Hamilton is surrounded by a diverse and flourishing farming community, and these farmers are more than happy to share their harvest with everyone. The City of Hamilton boasts a variety of farmers’ markets, the largest being the Downtown Hamilton Farmers’ Market. The downtown market offers a variety of meats and fish, cheese, fruits and vegetables, fresh flowers, baked goods, pasta, and so much more! The market also hosts events, programs and cooking demo’s. “Programs are facilitated by the City of Hamilton Farmers’ Market, market vendors, food experts, and a variety of community agencies and non-profit organizations.” To find out what’s happening in the market this weekend, click here. Tourism Hamilton has posted this list which includes information about each of the farmers’ markets in and around Hamilton, their operating days and times. A healthy lifestyle includes eating right, exercising and striving for work-life balance. The Mohawk College Library is the best place to start achieving those goals! Our Health, Wellness & Fitness subject guide has everything you need to get you on the path of health living. The Films on Demand database also has some great videos about eating on the go, how to prepare meals in minutes, and other videos on achieving a healthy lifestyle. Mohawk College will soon be opening the doors to the new David Braley Athletic and Recreation Centre. It will house gymnasiums, a fitness centre, an indoor track and much more. So there won’t be any more excuses for avoiding the gym. Let us know how you stay healthy, and share what you found at your local farmers’ market – we’d love to hear what’s on your plate!